Last week probably won’t go down as one of the greatest in Alan Connell’s professional life. First there was the news that Celeb Folan had signed a short-term deal aimed at easing the burden on James Hanson, then the other member of City’s deadly strike duo, Nahki Wells, went off injured against Shrewsbury and Connell was over-looked as his replacement. The realisation that wideman Mark Yeates was being given the nod would have left both Connell and Andy Gray shuffling uncomfortably on the bench. For Connell especially though, it appears he has been demoted from third/fourth choice striker to fifth/sixth in a matter of days. Although Rory McArdle talks about a united dressing room, this can’t have been an easy period for those players stuck on the sidelines expecting to make an impression. So as City travel to the Bescot Stadium tomorrow hoping to maintain their excellent form, the potential for as many as five starting jerseys being up for grabs will have offered a huge incentive this week, both during training and the latest reserve team friendly. Connell converted a penalty during that 1-1 draw, against Sheffield United. The door may have been slammed shut on him on Saturday beyond a 90th minute introduction, as City pressed for their late winner, but other injuries could mean Mark Yeates is deployed elsewhere rather than replacing Wells again. The Irishman can play on both flanks and, with Garry Thompson a doubt, might be preferred to Rafael De Vita on the right hand side. Though with Folan a week fitter and Gray chomping at the bit for his first sight of first team action, the doubts from last season about whether James Hanson and Connell make a good partnership could see the former Swindon striker benched once more regardless. Then there is McArdle, Andrew Davies and Gary Jones. Three of last season’s most prominent promotion heroes are struggling for fitness. McArdle didn’t make the Shrewsbury game, enabling Luke Oliver to continue his rehabilitation to full fitness and form following the dreadful injury 11 months ago. Ricky Ravenhill – who, it has been quickly forgotten, played a huge role in last season’s late promotion charge – stands by to come in for Jones. Or what about the true amnesia man: Jason Kennedy? Tough choices for Parkinson, who despite using so few players so far has plenty of strength in depth to call upon. Any decline in the morale of half the squad – the half who played at Sheffield United midweek – could be accelerated by the team selection tomorrow. As City have raced out of the League One starting blocks with no injuries or suspensions to trouble the first XI, few on the sidelines could realistically begrudge their own lack of game time. Now there are opportunities to be handed out. If injuries rule Jones and Thompson out and the reshuffle still leaves certain players overlooked, it might become harder for back up players to believe they have much of a future at this club. All of which leaves City facing arguably their toughest test of the season to date, tomorrow. Walsall have long being an unfashionable and overlooked club, but their unassumingly effective football that goes under the radar is an inspiration to sides like ourselves. Currently sitting ninth in the table – three points behind City – and having just missed out on the play offs last season, the Saddlers have only lost three of their last 24 League One matches. Just like the Bantams, only two sides have conceded fewer goals this season. Three of City’s four away games so far came against teams who currently sit in the division’s bottom seven. Whilst fears of the Bantams struggling on the road this season were partly eased by a strong performance and victory over Gillingham last time around, Walsall will be an altogether different proposition. So not a good time to potentially be without Wells, Thompson, Jones, Davies and McArdle, then. At least the other six of City’s regular XI continue to pick themselves for the moment. Jon McLaughlin has quietly made a strong start to the season, recovering with minimal fuss from a bad mistake at Huddersfield in game two and doing little wrong since. In defence, Stephen Darby and James Meredith will flank Andrew Davies/Carl McHugh and Oliver/McArdle. Width of a Post spent a good chunk of September praising both full backs, and it is refreshing to see players in these positions proving so popular amongst fans. In midfield we know only that Nathan Doyle and Kyel Reid will start. The latter’s Player of the Month nomination is a significant achievement – particularly for a player so routinely criticised by a section of our supporters. Reid’s determination and character to bounce back from starting the season on the sidelines is an inspiration for those fringe players who come in tomorrow. Expect an absence of Gary Jones to see Ravenhill earn a chance. Rarely has a back-up player portrayed such a happy demeanour and that is to the club captain’s credit. Up front, there will be greater onus on the in-form Hanson to deliver without his partner. Whilst no one likes to see anyone injured, if I had to pick one from Hanson or Wells to be out for a fortnight City’s number nine would not get my vote. Wells is vital to our cause, but Hanson is even more pivotal. Whoever he partners (and Yeates would appear to be the favourite) they must show they make the most of Hanson’s strengths rather than reduce the big man’s effectiveness. 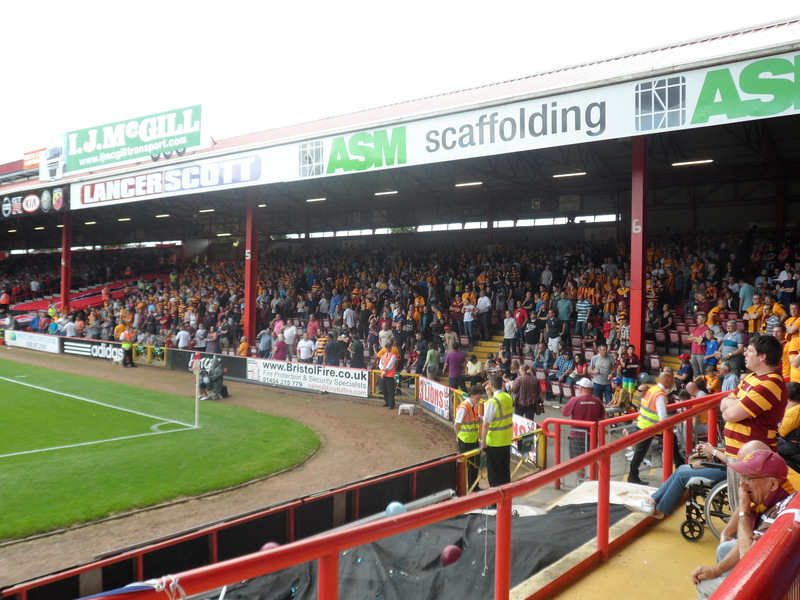 The Valley Parade feel-good factor remains in tact after a calendar month unbeaten. With tomorrow soon followed by trips to promotion rivals Crawley and Preston, before a visit from Wolves, this is undoubtedly the moment things get more serious. It’s not ideal timing to therefore potentially be without four big players; but in addition to extending a five-match unbeaten run, the aim tomorrow has to be to head back up the M6 with competition for places looking that bit closer. 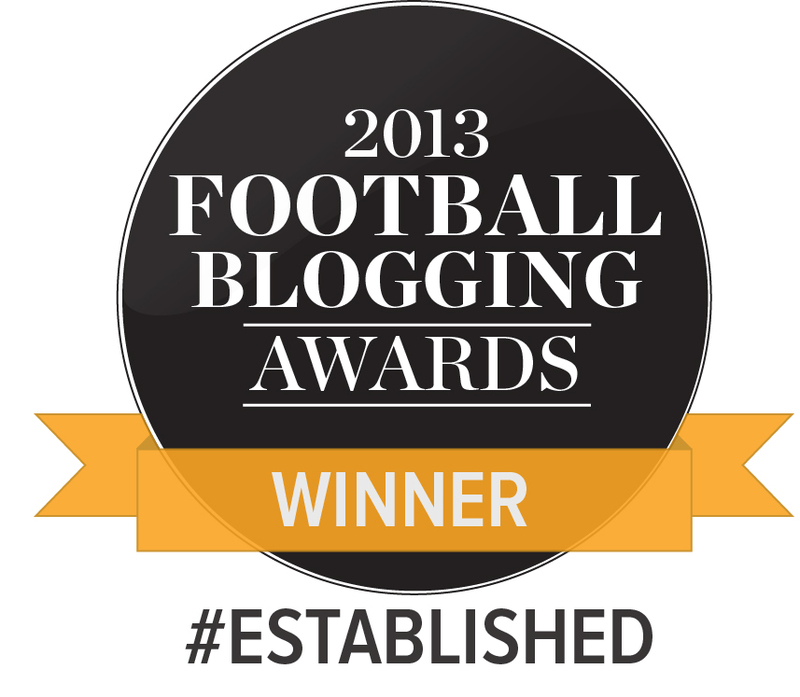 Good analysis of a superb game, very impressed with Walsall – a stylish outfit. But we matched that and won the day taking a well deserved two points. Only a few fouls in the game, and excellent display from the referee.